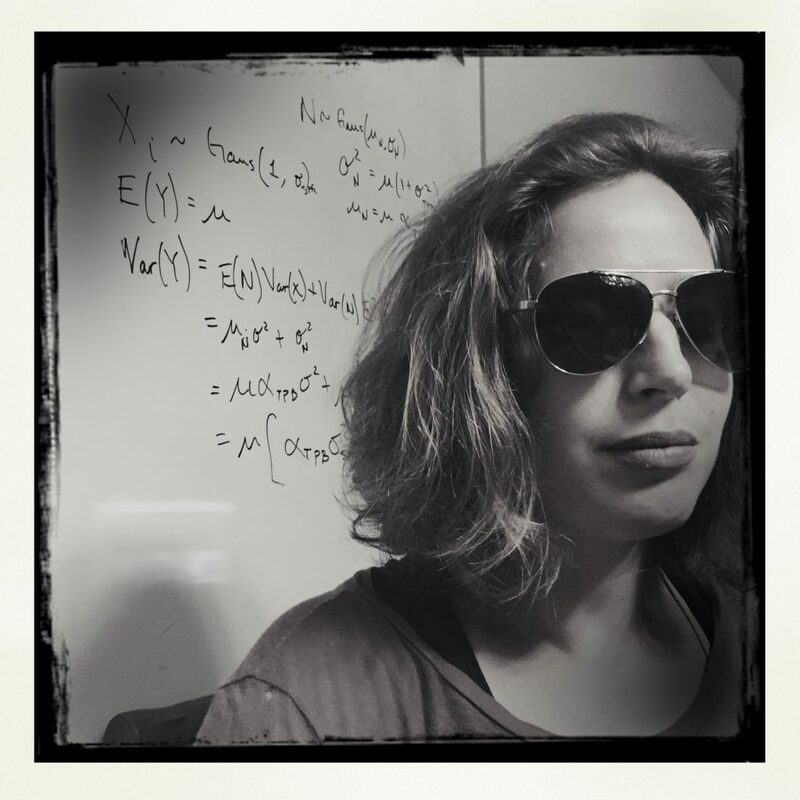 Today’s featured writer is Moll Green, a writer who works not only in comics, but also big and small screen writing, and prose short stories. My name’s Moll and I write comics, screenplays, poetry, and lots of other stuff. I split my time between Los Angeles and Vancouver. I’m a Virgo, I’m allergic to Tylenol, and I met Diane Keaton one time. I’ve always written poems and other little things for my own enjoyment, but I really started writing professionally about three years ago, when I started as a contributor to The Rainbow Hub. Since then, my writing career has taken me in a lot of diverse directions–writing comics criticism, taking a fiction-writing workshop with Richard Bausch, working as a script doctor, and creating a webcomic about ultimate frisbee. Mostly, I’m having a great time! Honestly, I’m really bad at picking favorite stuff. It stresses me out! In comics, I always say Warren Ellis. I love his bright, awful ideas about technology and humanity. He creates these weird, fast-paced worlds where everyone’s always terribly sniping at each other, but you sorta fall in love with every character anyway. He writes stories that are ridiculously entertaining, but also packed with big ideas and small details, so you get more out of the comics with each reading. For fiction, one of my favourites is Margaret Atwood. I think she’s written some of the best novels this century. She’s got biting wit and genius diction and vast organizational intelligence combined with this unflinching feel for all the best and worst of human nature. She’s awesome. I write a lot of different ways, but my original work usually comes from an image or character I just can’t get out of my head. From there, I go to handwritten rough drafts. For comics and screenwriting, I like to block out major “beats” and little moments piece by piece and then assemble them like a big puzzle. For poetry or fiction, I do stream-of-consciousness scribbles that I transcribe onto the computer afterwards. Your story in All The King’s Men is a prose short story called The Birdland Midwife. Can you tell us a little about this story, where it comes from, and what it means to you personally? “The Birdland Midwife” first occurred to me as an image: a tough, determined woman hiking across a desert during a sandstorm. From there, I decided that she was going to deliver a baby, and that she was on a remote alien planet, and that she was having a really, really bad day. I really like how this story fits into the All The King’s Men universe. I’m interested in the contrast between this incredibly advanced society and futuristic technology with Birdland, a planet where nothing works properly, where life hovers in this weird limbo between the wonders of tomorrow and the very difficult, menial life of the Birdland colonists. I also felt like childbirth and popular medicine are things often skipped over in science fiction–I think that we tend to assume that advanced technology will make life and death easier or more advanced somehow, and I’m not sure that’d be the case. And finally, I just really love my main character, Nadine. She’s got a remarkable, determined, matter-of-fact approach to adversity… but, like a lot of my characters, she’s got a lot bubbling right under the surface. 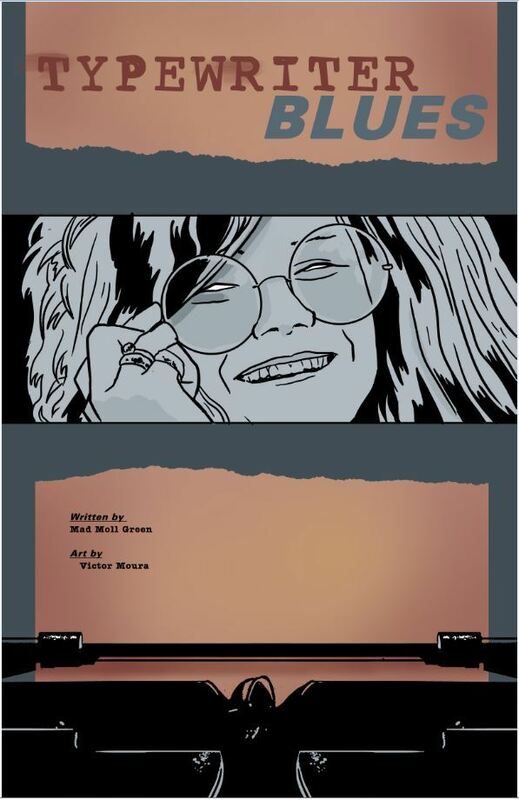 You wrote a story called Typewriter Blues for The 27 Club anthology, which was recently published by Red Stylo Media and Action Lab Comics. Can you please tell us about the anthology and how you came to be involved with it? Sure! It has been an absolute pleasure being part of The 27 Club, above all because I got to work with Victor Moura, who is this outstanding artist from Brazil. He has an awesomely distinctive style, and everything he draws is really expressive. I’m a huge fan. Check him out. I’ve read Typewriter Blues (and it’s good, dear readers, you should buy it), and what struck me about it was its unique take on an all-consuming creative process and the influence of a muse. I’m a bit of a process junkie, so I love reading stories about writers writing stories. How closely does this story align with your own experience when writing? Do you, for example, have tales in your back catalogue that you feel don’t really belong to you? And yeah, I do strongly relate to that feeling during the revision process where you can’t figure out how you came up with something. Like, “Did I write that? Where did that come from? Who wrote that?” I think a lot of writers and artists have these transcendent moments where you inadvertently access some hidden, cut-off part of yourself through creativity. It’s an awesomely uncanny feeling. I understand why writers have sometimes ascribed some kind of mystical, supernatural explanation to it, even though I don’t think that way myself. You’re also involved with a book coming out in September this year, entitled LGBTQ Comedic Monologues That Are Actually Funny. Can you tell us what we need to know about this book? Sure! It’s a collection of funny monologues, curated by talented actress/humorist Alisha Gaddis. It’s a great resource for actors, but I’d also recommend it for everyone’s general amusement! I’m contributing a monologue called “Moving Boxes,” which is about first dates and organizing your stuff and (over)organizing your life. You work in a variety of media and creative forms. Do you have a favourite? Why? Working in several different forms can be distracting, and there’s a huge learning curve, but it ultimately makes you a stronger writer. You get intimate knowledge about the limitations and capabilities of each kind of storytelling. Writing comics, I think you intuitively learn to deconstruct how language and images work together on the screen; studying film writing gives you great ideas about how to represent time and create movement on the comics page. I’m relatively new to prose fiction, but I think doing a lot of script-writing has really influenced how I write in this form. When I write stories, I like letting actions and images speak for themselves. I like writing characters who don’t explicitly explain themselves to us, but who show who they are in other ways. As usual, I have a lot on my plate! I always have a handful of screen projects on the go. I’m having a great time developing comics projects with amazing artists Megan Praz and Jon Running. And I’m also always looking for excuses to push myself as a short story writer, so I’m really grateful to ATKM for helping me do that! Well, I’m actually about to start an MFA program in the fall! I’m over-the-moon excited about that opportunity, and hoping that some more formal training and mentoring will help guide me where I’m eventually supposed to going. Ultimately, I’d be thrilled to spend my life developing comic books, writing movies, publishing stories and poems, or literally any combination of those things. Basically, in five years, I’d like to be doing pretty much exactly what I’m doing now… but I’d like to be doing it better and for more money (and with cooler hair). We here at ATKM HQ think that Moll is a writer worth following. 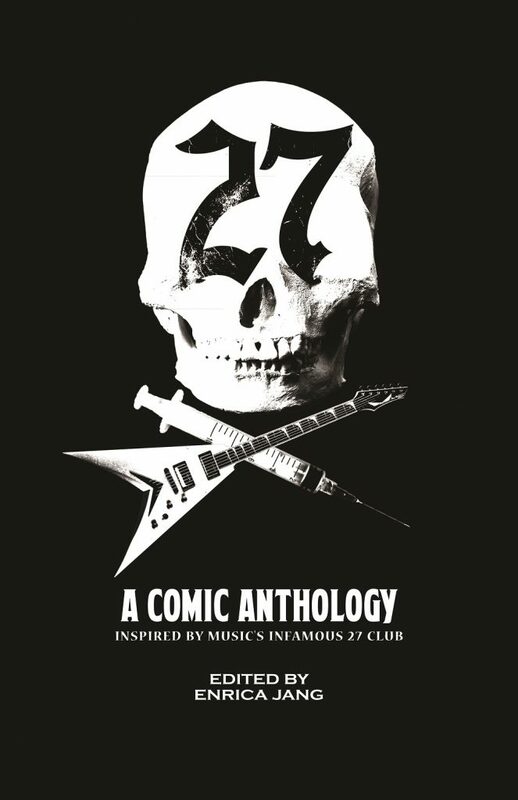 You can also check out the 27 Club anthology here. 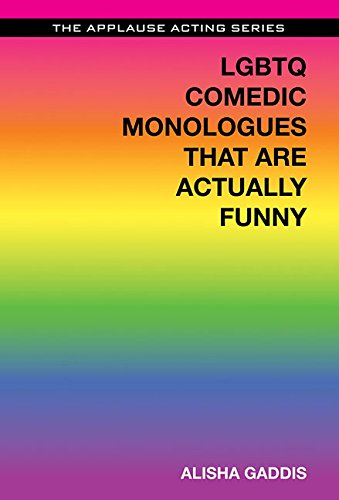 and LGBTQ Comedic Monologues That Are Actually Funny (coming out on September 13) here.